Even as classic cytogenetics has given way to molecular karyotyping, and as new deletion and duplication syndromes are identified almost every day, the fundamental role of the genetics clinic remains mostly unchanged. Genetic counselors and medical geneticists explain the ‘unexplainable,’ helping families understand why abnormalities occur and whether they’re likely to occur again. 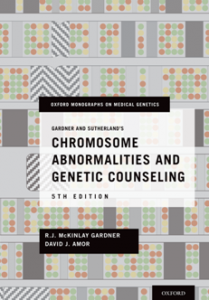 Chromosome Abnormalities and Genetic Counseling is the genetics professional’s definitive guide to navigating both chromosome disorders and the clinical questions of the families they impact. Combining a primer on these disorders with the most current approach to their best clinical approaches, this classic text is more than just a reference; it is a guide to how to think about these disorders, even as our technical understanding of them continues to evolve. Completely updated and still infused with the warmth and voice that have made it essential reading for professionals across medical genetics, this edition of Chromosome Abnormalities and Genetic Counseling represents a leap forward in clinical understanding and communication. It is, as ever, essential reading for the field.